A simple conversation supplement that includes some discussion questions with integrated vocabulary along with a short conversational activity. 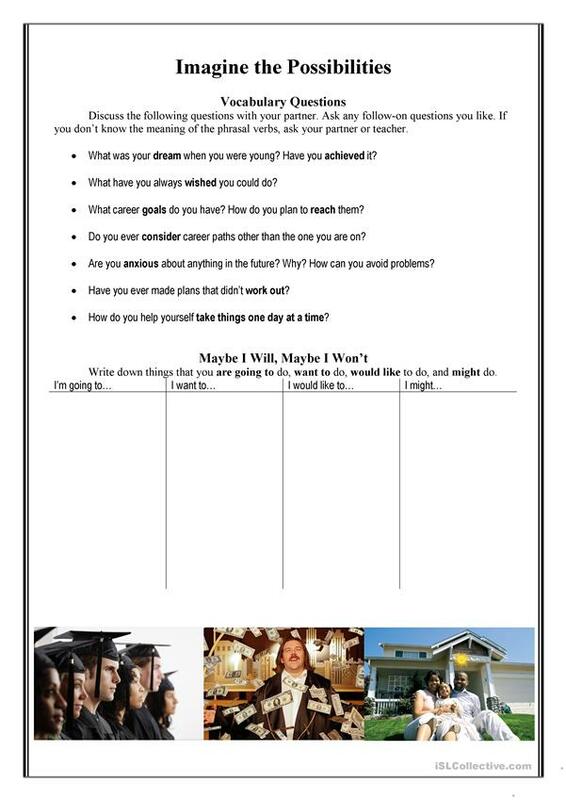 This downloadable printable is meant for business/professional students, high school students and adults at Intermediate (B1) level. It is valuable for revising Modals and Future tenses in English, and was designed for developing your students' Speaking skills.